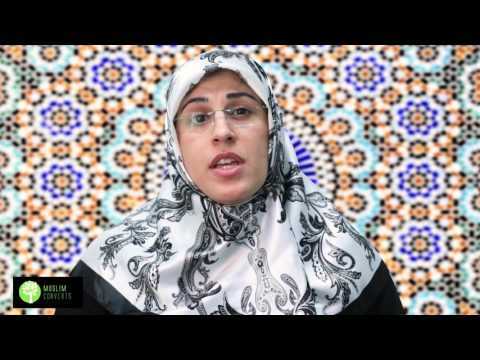 Welcome back to the Muslim Convert channel! In today's lesson, we’re going to look at the most famous hadith of the Islamic tradition, namely hadith al-Thaqalayn. Hadith al-Thaqalayn was one of the last sermons of the Prophet (s) where he established what the sources of guidance would be for the Muslim community after him. The hadith we just read is called hadith al-thaqalayn. Thaqalayn means the two weighty or precious things. The term weighty is meant to represent the sense of their importance in so far as guidance is concerned. These two weighty things in the hadith we just read were the Qur’an and the Ahl al-Bayt (as) of the Prophet Muhammad (s). The Qur’an is important as it is the constitution of our salvation. It holds all the general principles of how to conduct our spiritual and worldly lives. The Ahl al-Bayt (as), as we have mentioned multiple times over various lessons, are the teachers of the Qur’an. Like the Messenger of Allah, they were the living, talking, breathing and walking Qur’an. The Prophet was only human and could not have lived forever. Islam had to have continuing role models, at least during the time of the first few generations of Muslims, as those times were the formative years of Islam. Allah chose the Prophet’s progeny or Ahl al-Bayt (as) as his religious successors in guiding humankind to salvation in this world and the Hereafter. The question here is, who are the Ahl al-Bayt (as), how do we know that they were who we say they are, namely Fatima, Imam Ali, Imam al-Hasan, Imam al-Husayn and his descendants (peace be upon them all)? There are plenty of sources that can help us in this regard. One important source is a hadith we call hadith al-mubahala. The hadith of mubahala shows that Fatima, Imam Ali, Imam al-Hasan and Imam al-Husayn (peace be upon them all) were the Ahl al-Bayt of their time. The sheer weight of their spiritual light, as demonstrated in this hadith, is consonant with the Prophetic command of the Ahl al-Bayt’s successorship, for in the end, who can surpass them? These were of course the Ahl al-Bayt (as) who were alive during that time. It refers to an incident in history where the Prophet and his family and a group of Christians were to pray against each other to see whom God would favor and thereby establish the truth of Islam. One of the last sermons of the Prophet where he designated the Qur’an and his Ahl al-Bayt (as) as his guiding successors after his death. How many did the Ahl al-Bayt (as) number during the lifetime of the Prophet (s)? Who were the five members of the Ahl al-Bayt (as) during the lifetime of the Prophet (s)? What’s the main purpose of the Qur’an and Ahl al-Bayt (as)?